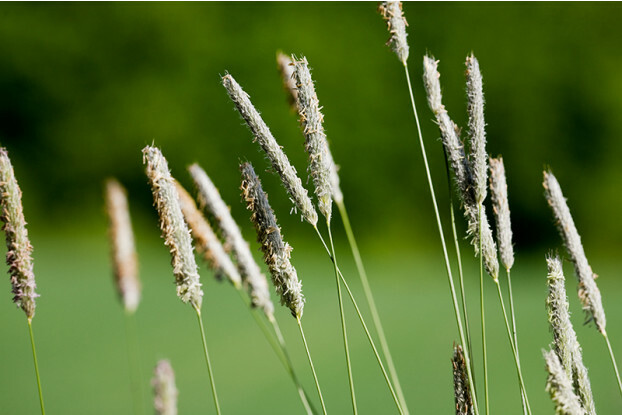 Native to Europe, timothy is a cool-season perennial bunchgrass well adapted to cool moist areas of North America. It develops rapidly and can grow to a height of two feet. Timothy is used for hay and grazing where it’s especially desirable for horses. Tolerates a wide range of soil types and can handle waterlogged soils. Timothy is also quite cold hardy and resistant to insect and disease problems, but not very tolerant of drought conditions. It can be grown without irrigation in areas receiving at least 15 inches of annual precipitation.